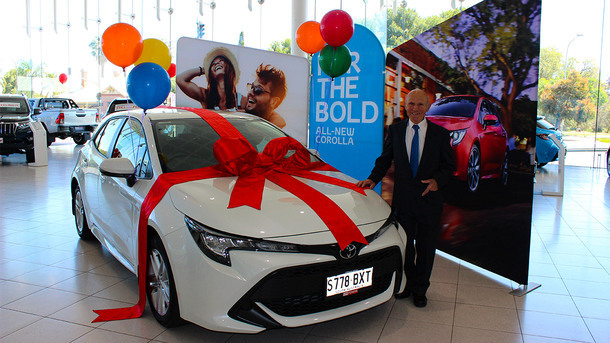 A timely new Corolla win for Dominic! 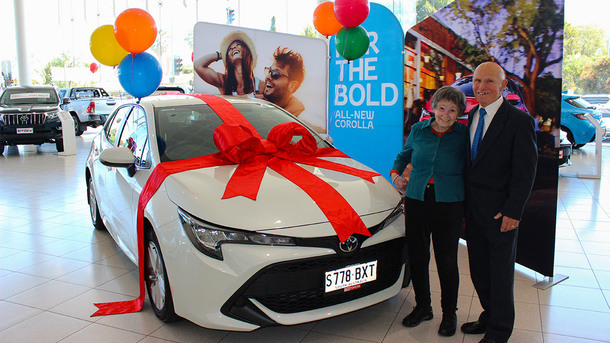 Today we had the pleasure of presenting the People’s Choice Community Lottery 3rd prize winner with his brand new Corolla Ascent Sport right here at CMI Toyota. Dominic was over the moon to learn that after purchasing 16 tickets, he had won such an amazing prize and at the perfect time too! 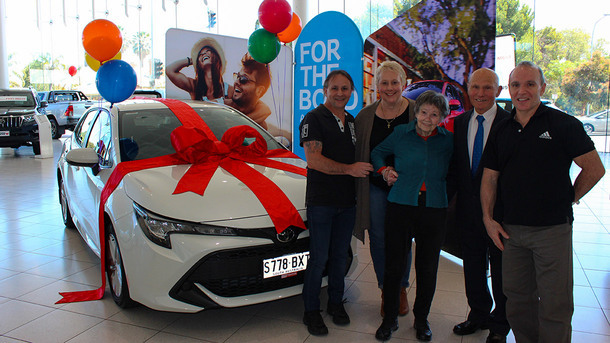 He and his wife Elenora have had their current car for 27 years and had recently looked at purchasing a used vehicle as they felt it was time for an upgrade. 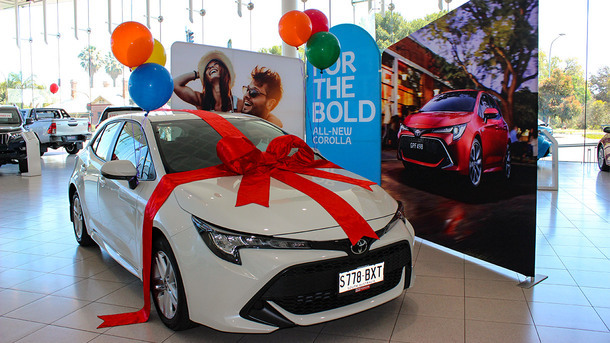 Imagine his (and his family’s) surprise when he found out that he was the lucky winner of a brand new Corolla Ascent Sport! We loved meeting you and your family Dominic and we wish you many happy and safe years behind the wheel! Stay tuned for when we present the lucky 1st prize winner with their brand new Rav4!